Many children have difficulty learning to write. Their fine motor skills may not be keeping up with their desire to learn. Some children resort to using the “caveman” grip on a pencil which can slow the child’s educational progress at the most critical time in their development. 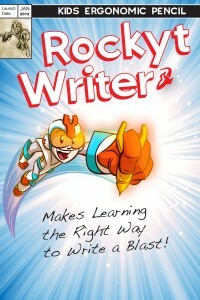 The Rockyt Writer’s cool, ergonomic, rocket shape is easy to hold and even easier to use. Its large gripping surfaces ensure that a child assumes the correct “tripod grip” taught in schools. 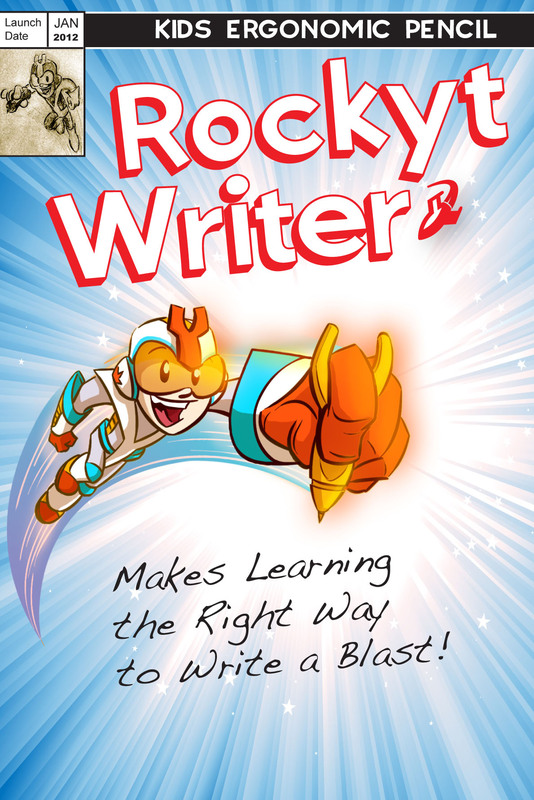 Parents, teachers and occupational therapists love the Rockyt Writer because it’s a simple, innovative, educational tool that accelerates how quickly kids learn to write and improves their handwriting skills. Just as importantly, kids are drawn to it because of its playfulness and ease of use. It makes learning the right way to write a blast!